I had a delightful time at the Asasif today enjoying the peace and calm of the place. 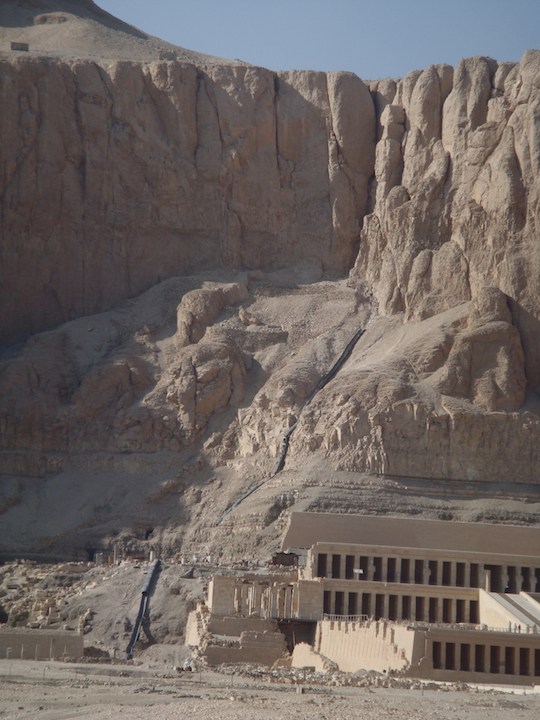 Sadly there were very few people visiting Hatshepsut temple; I think I might have seen three people. 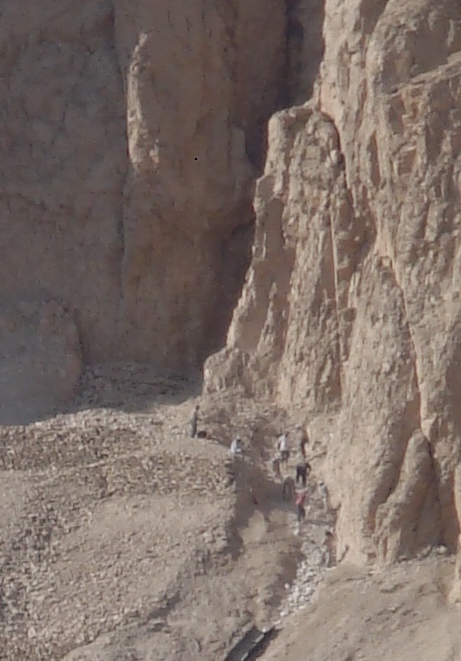 I did however see and hear the work going on at the Hatshepsut temple site high up on the cliff to the left. 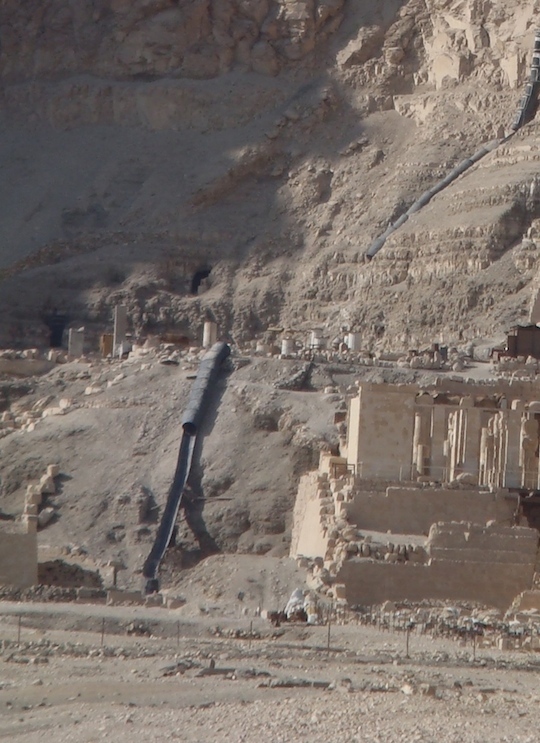 The Polish team working there is using a chute to send down all the rubble being dug out and in the hope of finding a tomb with mummy. The noise of this in action was clearly heard from quite a distance. A guardian told me that they are hoping to find something inside; indeed I hope they are successful and do find something of interest. 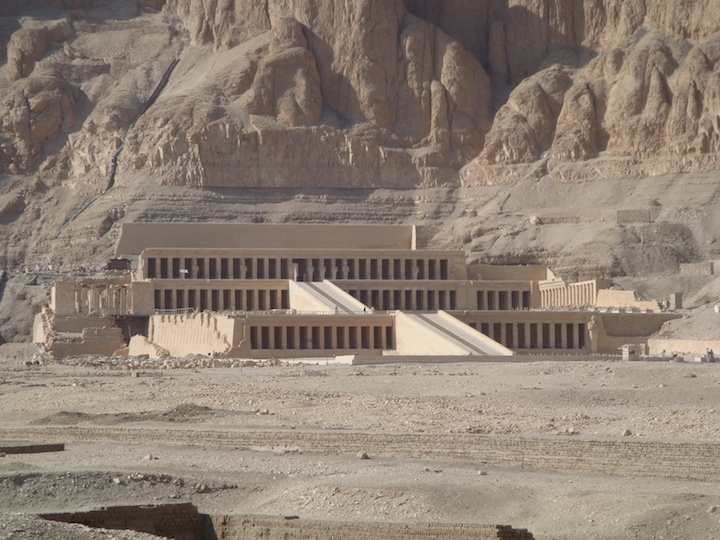 Herihor also known as Herhor was High Priest of Amun at Thebes from (1080 BC to 1074 BC) during the reign of Pharaoh Ramesses XI.